Plants, plants, plants; the urban gardener is still as popular as ever. Bring the outdoors in with leaf ceramics – add a dash of retro, and you get this great plate from HM. There’s a definite vintage inspiration. It would look great on a dinner party table or use for nicknacks on a dressing table. So you’ll need to buy a frame but finding a cool piece of art work for just a fiver is an incredible find. Hunting through the new home products at House of Fraser we find this gorgeous wrapping paper (3 metres for £5) that is so perfect it needs to be framed. Make a statement – find a great big frame (try the largest size in Ribba frame from Ikea or head to Desenio and pick one of their skinny profile frames) and cut the paper to size. The pattern, the colour – it’s all on trend and would be perfect as a focus piece of art in a lounge or bedroom. 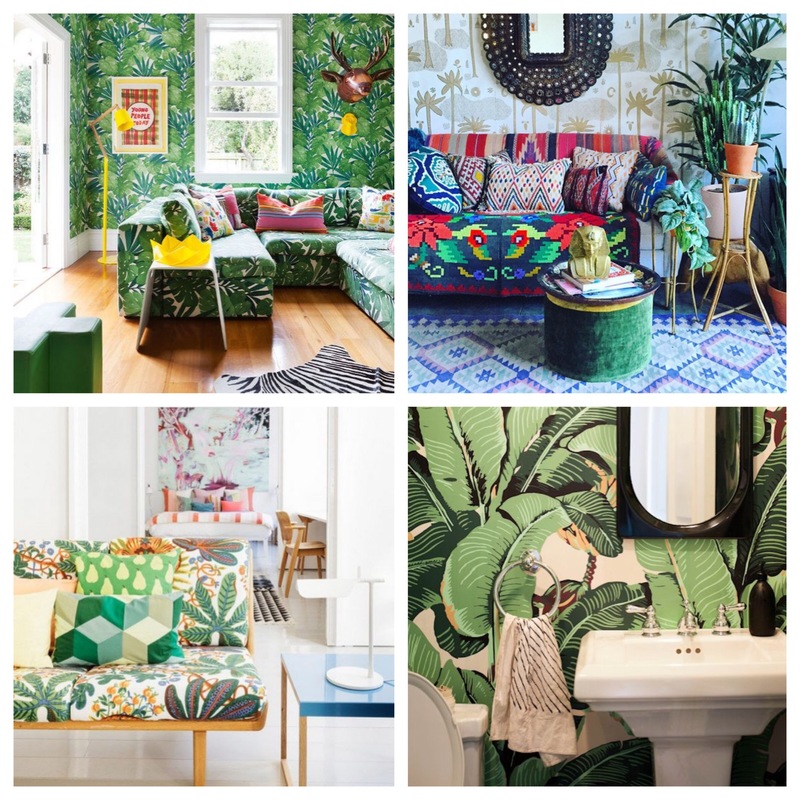 Brighten up any room and bring the outdoors in with a choice of amazing leaf print wallpapers. 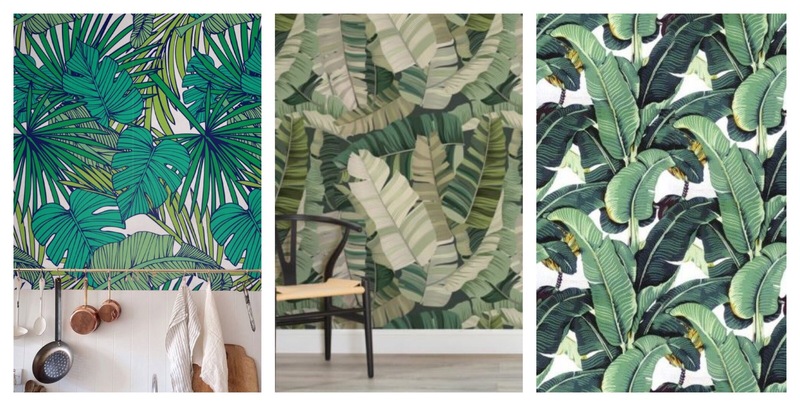 So fresh and organic, we love bold prints of palm or monstera leaves and so many stores are offering great prints in various green shades, various degrees of boldness and size of leaf illustration. Effective for a statement feature wall with a fresh white interior, keeping it minimal but also incredible for a stronger multi wall look, mixed up with other large print patterns. – a strong trend this season. No mess, no fuss, a simple way to bring the outdoors in with these Nutmeg leaf wall stickers available from SouthwoodStores. Our favourite monstera leaf image gets transformed into great modern matt vinyl wall stickers. Easy to apply and creates a great indoor garden look for room.